Scrap yarn crochet projects is something you should always try to make. It’s for sure a wonderful way to use all the leftover yarn you’ve got lying there in your yarn stash. Even though making crochet gifts from scrap yarn might seem cheap, you don’t need to think that’s a bad thing. Using scrap yarn for gift is just as good as using newly purchased yarn. 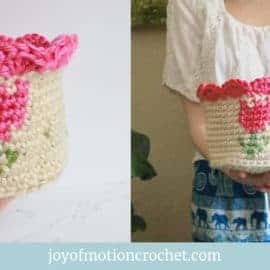 Even though you’ve got a smaller amount of each type of yarn or color, you can make beautiful crocheted gifts with it. The yarn has the same quality & have the same value even though it get’s the name “scrap yarn”. Because you’ve got it stashed too? I mean lots of yarn from each finished project you’ve finished? I urge you to not throw it away, but to use it. My stash of scrap yarn used to grow more and more for each crochet pattern I finished. Consequently I needed to find a solution for my problem. 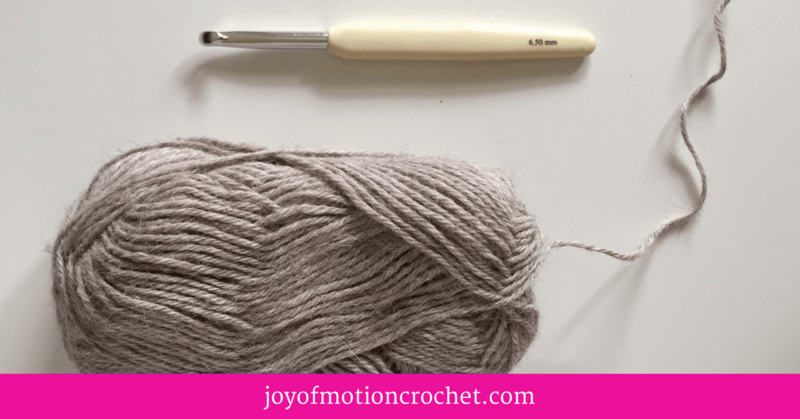 That’s why I’ve gathered these scrap yarn crochet projects for you & me to use. Especially with the focus of making great, quick & amazing crochet gifts. I’ve also started to incorporate scrap yarn designs to my own list, to make sure those scraps don’t end up thrown away! 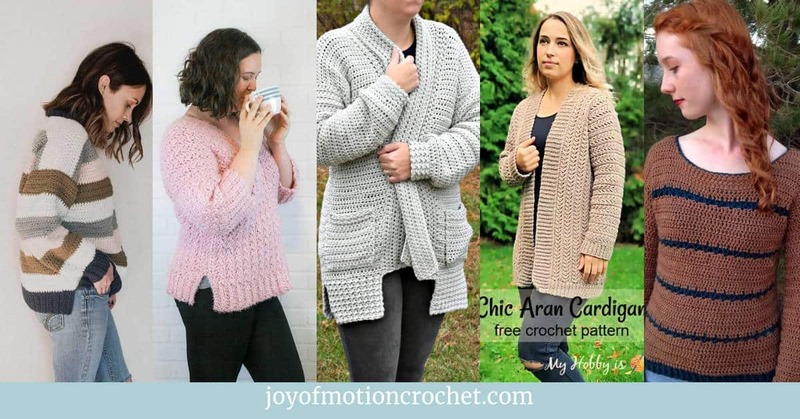 Resource: The Crochet Pattern Shop to find amazing crochet patterns that works great with scrap yarns. Scrap Yarn (the idea is not to purchase something new to make these projects, but should be in your stash). If you would like to purchase new yarn anyway, you could buy yarn from Love Crochet, Knit Picks, Wool Warehouse, Annie’s, Amazon, Etsy ect. Crochet hook (link for one of my favorite hooks), find any crochet hook you have. A needle to finish off the scrap yarn crochet project. Related: Crochet hooks that fits your needs. Hearing the word “scrap yarn” or leftover yarn could really make you feel awful. Even the thought of giving away gifts that are made of that kind of yarn might make you feel cheap. But there’s many reasons to use scrap yarn for gifts. You will never be able to make the exact same gift again, that actually makes it a perfect unique handmade gift. 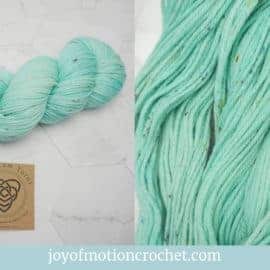 The yarn you’ve got as “scrap yarn” is the same quality as when you purchased it. Your wallet might actually think it’s a good idea to use all the scrap yarn you’ve stashed away. The environment would appreciate you for not purchasing more than you need. A handmade gift is more than the $ you spend, it’s about the time, thought & heart that goes into it! 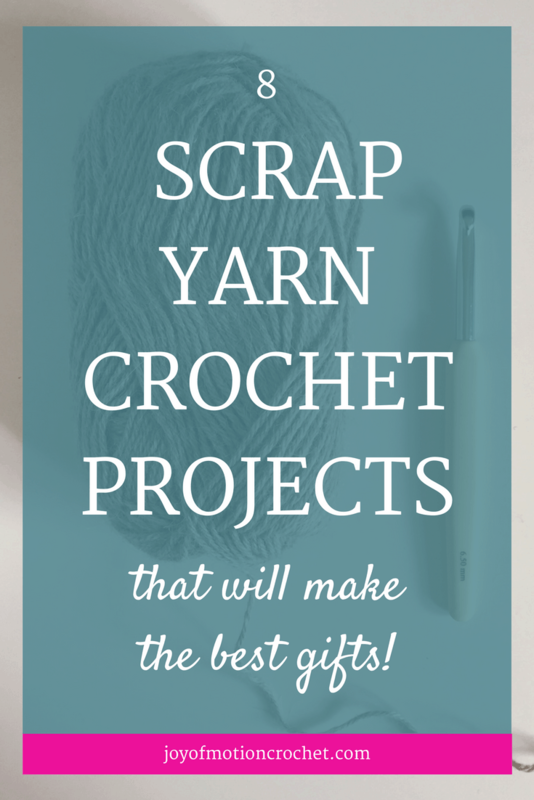 The final reason is that there’s so many amazing projects that’s perfect for scrap yarn. If you keep reading, I’m going to share 8 of these with you right now. But if you find that these 8 are not enough, I’ve also gathered a list of 50 scrap yarn ideas you could download too (link below). You can imagine it right? 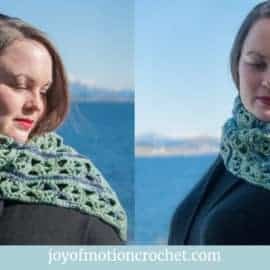 Using scrap yarn to make a striped scarf? One color for each row. I think it for sure will look both fantastic & creative. It will also work perfect as a gift. 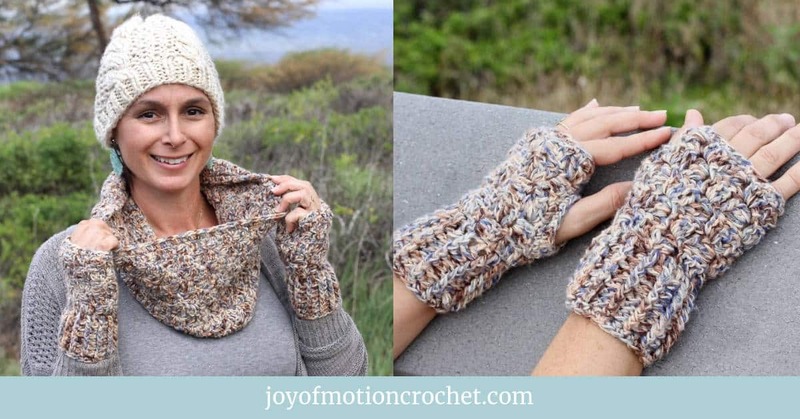 Grab all those scraps of yarn & start crocheting. I’ve searched on Pinterest for inspiration on this one & I found exactly what I imagined. 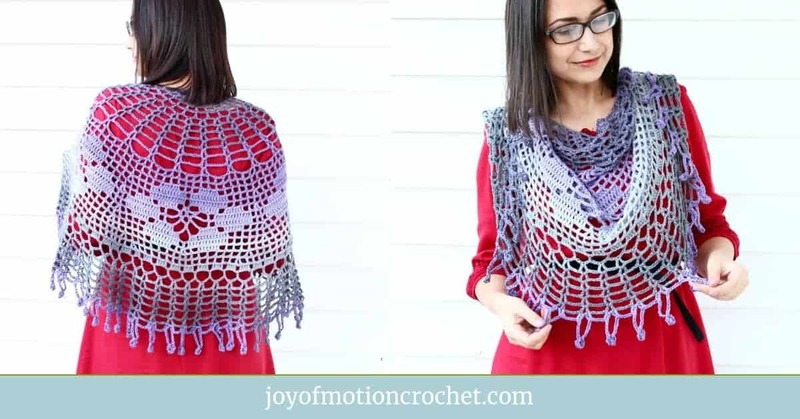 It was Elizabeth from Crochet in Color that have shared this amazing tutorial on how to make a striped scrap yarn scarf. It looks amazing. Whenever you grab a really cold can of soda from the freezer you’ll immediately feel how cold your hands feel. However you’d for sure like whatever you’re drinking to be cold. The solution for that problem is soda can cozies. This works also great as a unique gift! 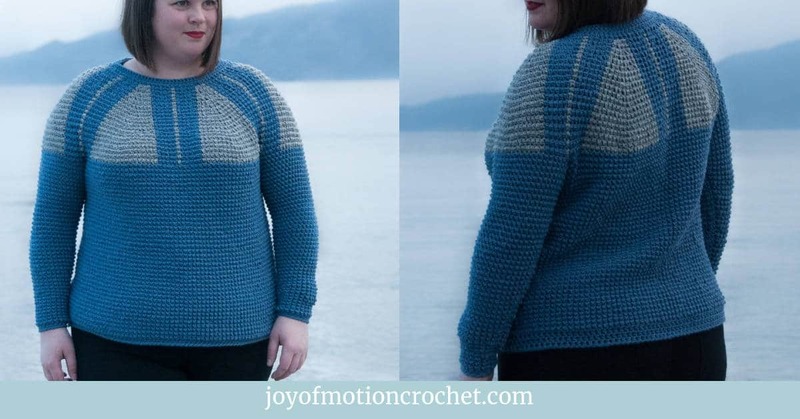 I’ve found an amazing pattern from Julie from Gleefull Things. She’s shared in great detail how to make a soda can cozie or beer cozie. Free Crochet Pattern: Beer Cozies! 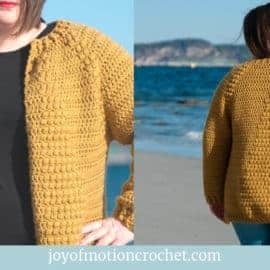 Crochet sweaters might not seem like a scrap yarn project, it might also seem to big as a gift? 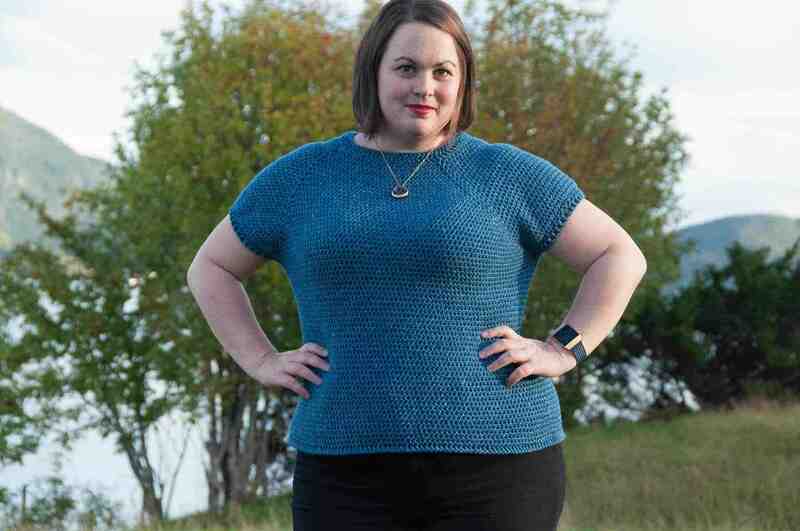 However you could easily use all your scraps to make an amazing crochet sweater. Be creative & use different colors for each row, or do parts of rows in different scrap yarns to make it look amazing. 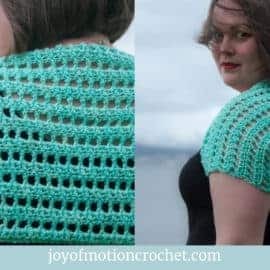 You can either search on Pinterest to get your inspiration by searching for “Scrap Yarn# + “Crochet Pattern Sweater”. 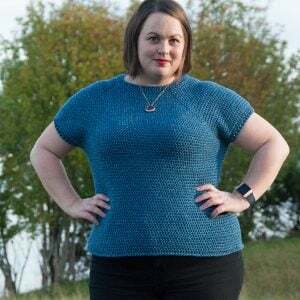 I’ve also got crochet sweater patterns in different skill levels that you could use only scrap yarn to make, even though they aren’t designed for just that purpose. A great way to use that scrap yarn is to making crocheted covers for either your iPad, Tablet or even Kindle. It’s also a great gift idea for those men in your life. The second reason is that you’ll keep your iPad/tablet/Kindle safe whenever you’re traveling. Not such a bad idea! I’ve got a pattern that’s available among my designs. It’s even possible customize it for laptops or mobiles too. 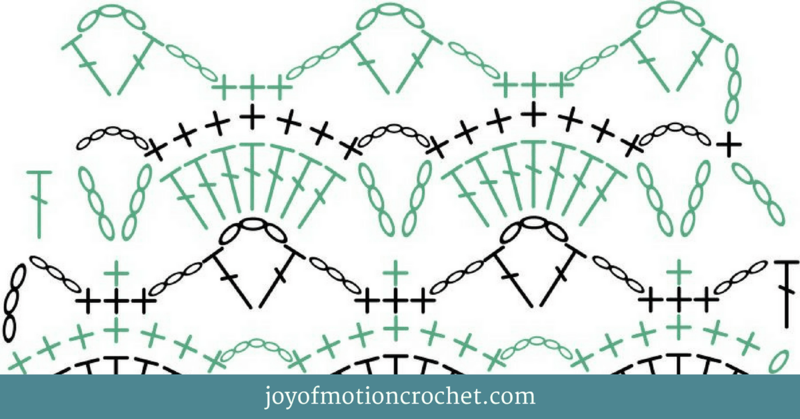 Resource: iPad Cover from Joy of Motion. To crochet a ring can easily seem like a scrap yarn crochet project. Yes, there’s not a lot of yarn needed. Next it’s also a great & cute gift. I found this amazing Bow Ring Crochet Pattern from María Isabel from Chabe Patterns. 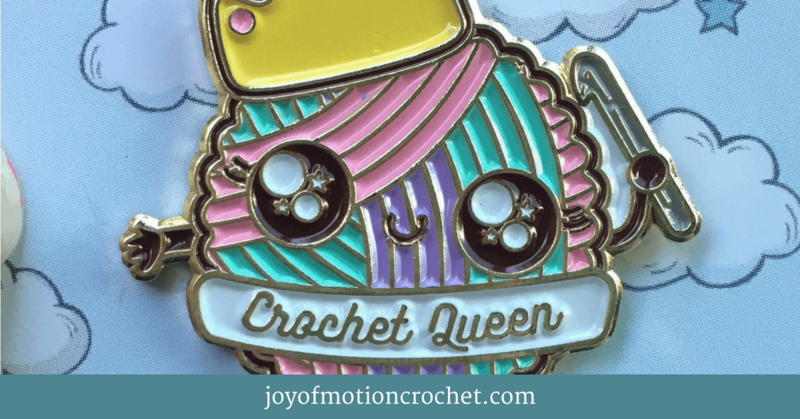 The tutorial & the rings are so colorful & it makes me want to start crocheting right away! What about using all that scrap yarn to make a crochet bag as a gift? It’s just a great gift & also such a creative idea for your scrap yarn. I’ve found a scrap yarn crochet bag that I totally love & the pattern is free. The Maya Purse from Fabienne Chabrolin is to be found on Ravelry, & it looks amazing! To crochet hanger covers is a great gift idea & is also amazingly lovely to make. 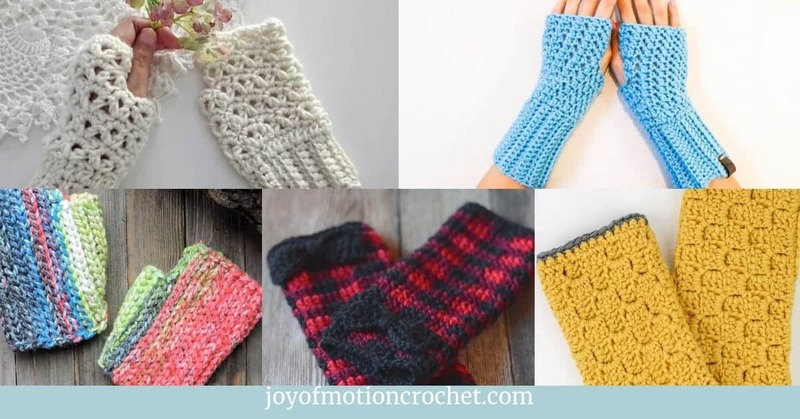 There is lots of different ways to make them & you could easily use your scrap yarn. The one I spotted on Pinterest that really got me excited was with a tulip pattern. It’s from By Haafner & it looks so amazing & cozy. A Field Of Tulips Hangers. 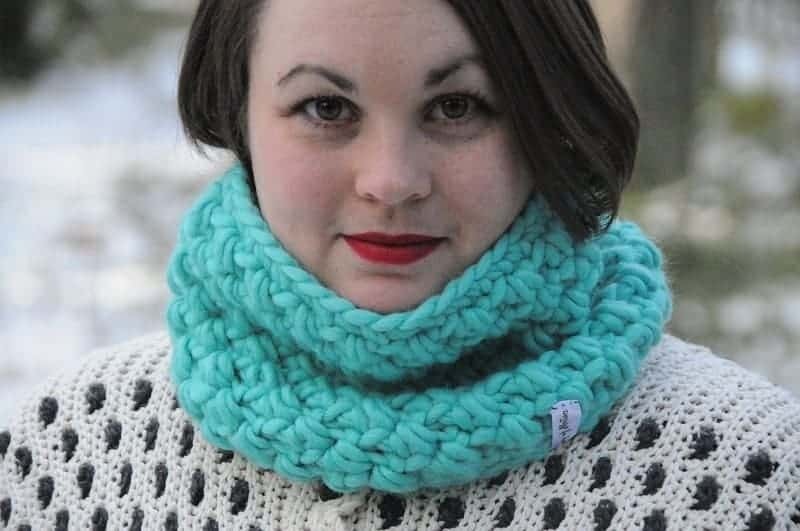 Making those cozy infinity cowls is such a great scrap yarn idea. One of the big thing these last years has been to crochet cowls with super bulky yarn & it’s easy to end up with lots of scrap yarn from those. It’s such a great idea to make a cowl using all those scraps for a colorful & unique cowl. This unique cowl will also be a great gift, as there will be only one of those in the whole world, that’s an amazing gift I’d say. In my collection of designs I’ve got a infinity cowl that would be great as a scrap yarn project as well. Resource: Scrap yarn cowl idea. 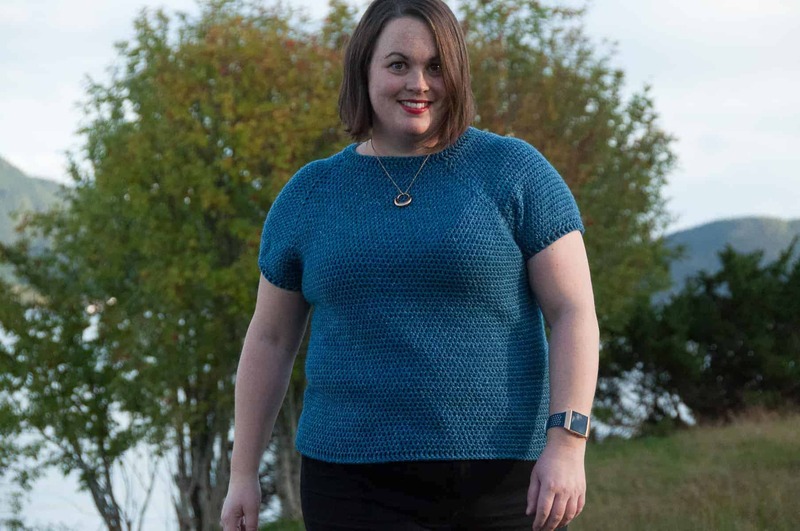 Related:Learn What Super Bulky Yarn Is. 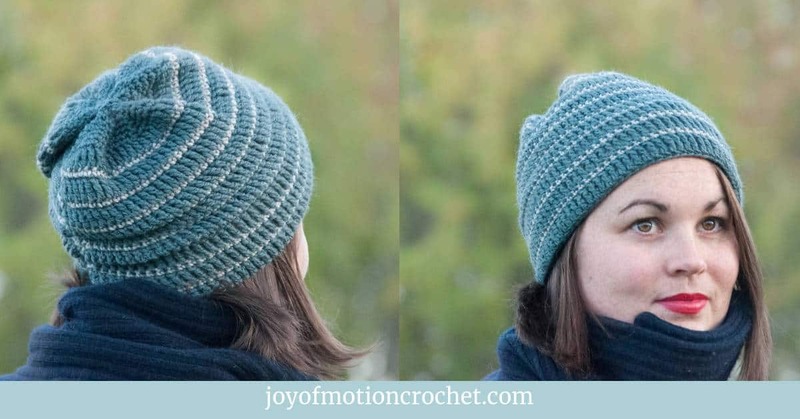 Start by downloading the 50 amazing scrap yarn ideas. Find your favorite scrap yarn project to make as a gift. 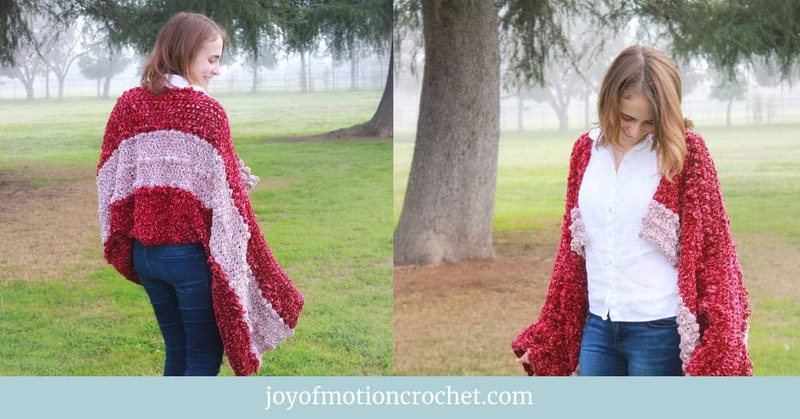 Enjoy crocheting a scrap yarn crochet project!